When you are very small, you keep looking up to catch up with adults. Have you ever thought of what would happen if you were even smaller? Which types of dangers would you face? Which things would be easier? What things would you like to do in a world where all the people is as tiny as you? Japan has a few animations dedicated to little people who live close to nature. A recent addition to the family is Hakumei to Mikochi, the story of two nine centimeter high girls who live in the forest. Magic, adventure, and a different perspective are offered through their eyes. However, if you crave more anime like Hakumei to Mikochi, don’t worry, because we are going to recommend some for you. So let’s grab your cloak, your basquet and one magical item or two for the ride! This anime is pretty straightforward. Ronja is the daughter of a chief of bandits who lives in a huge castle in the forest with her tribe. 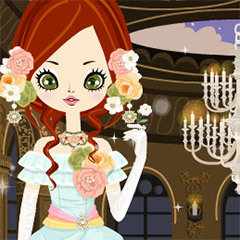 Ronja is a free spirited girl who roams the forest. 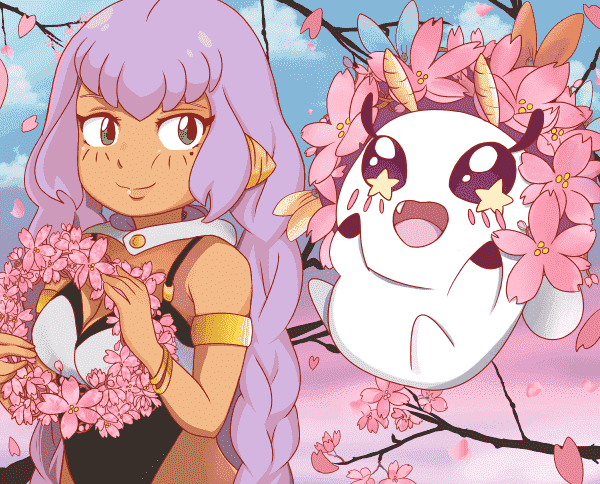 In her adventures, she is mesmerized by nature, but she also finds mythical creatures and makes friends. Hakumei to Mikochi and Sanzoku no Musume Ronja make a great work of defining their female protagonists and make us smile in the process. The forests in both series are so magical that one can not wait to explore them! 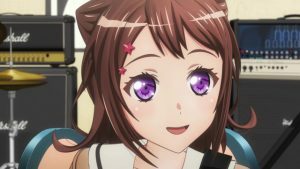 These animes are also safe to watch with the family. The main difference is the CGI treatment in Ronja, and the fact that the protagonists are humans, of course. The art has been compared to Zelda (think The Wind Waker or The Minish Cap), and… did we mention that it was a Studio Ghibli production? 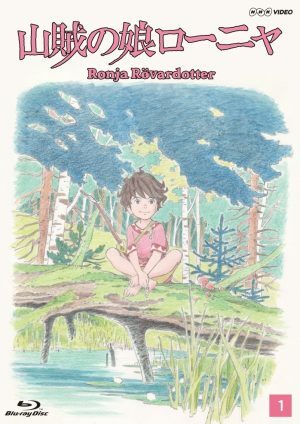 If you like these type of video games and animes that make you feel like a cheerful child again, you cannot miss Ronja. 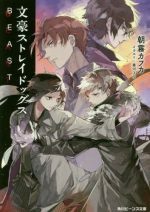 Several anime play with the concept of becoming an independent magic practitioner. 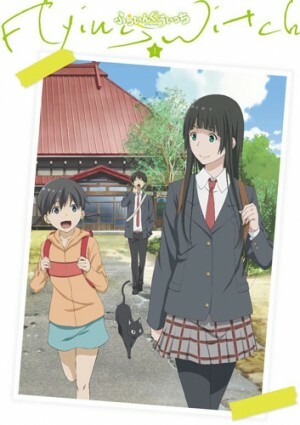 Flying Witch starts with the protagonist, Makoto Kowata, leaving her parents home to train her abilities. 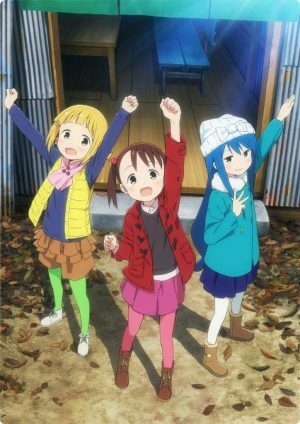 She goes to Aomori with Chito, her cat familiar, and is received by her cousins. Nevertheless, they have to live hiding their powers, attending school and trying to fit the normal life like any other regular teenagers. If what you like about Hakumei to Mikochi is how magical daily life is, you will find more of this feeling in Flying Witch. Also, if you need a break from fast paced anime, you will love Flying Witch. Everything is so natural and easy that you will be immersed in its world. Both animes make us fall in love with nature, as they represent it in full glory. Probably the main difference is that the color in Flying Witch is softer and that the protagonists are humans. Also, the urban aspect of Aomori makes an interesting contrast with the natural scenes. However, both shows are female centered and will bring a bit of warmth into your heart. OK, so maybe you liked Flying Witch, but the amount of Japanization was not enough in your opinion. Perhaps you want something more traditional. Don’t worry, because we got you covered with Konohana Kitan. We have an entire village of spirits here and the protagonist is a Kitsune called Yuzu. She is starting her first job in Konohanatei, the village’s hot springs. 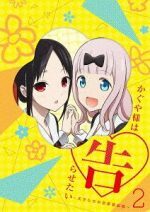 Both clients and staff will have many slice of life adventures, amused by the cheerful Yuzu and her inexperience. However, she will always try her best. It is always entertaining to imagine how would other creatures similar to us would live. This is something that we can find in Hakumei to Mikochi and in Konohana Kitan. Nature can be breathtaking in both animes, showing the most brilliant colors. 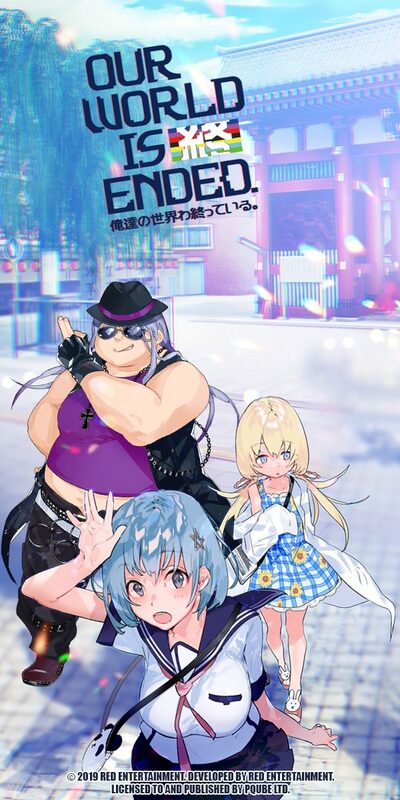 The main cast is a diverse group of girls in the two shows as well. 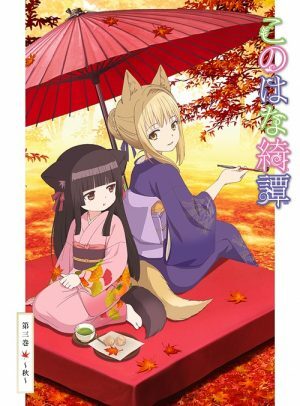 If what you like in your fantasy anime is heart warming stories with happy protagonists, Konohana Kitan might be the right show for you. 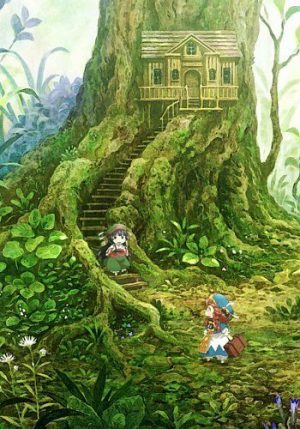 Any Anime Like Tiny Little Life in the Woods / Any Anime Like Hakumei to Mikochi ? Arrietty is a small fourteen year old girl who lives in a shoe box with her family. They are “borrowers”, and often risk their lives to get their life means from the giant humans. However, when 12 year old Shu arrives at the house of his grandmother, he meets Arrietty. Can a friendship between the two worlds survive? You will have to watch this movie to find out. We could not resist recommending another Studio Ghibli masterpiece. 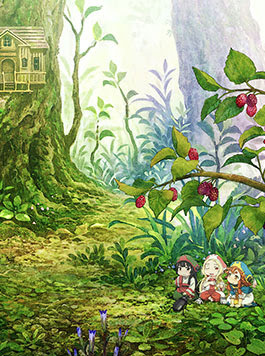 If you liked the concept of tiny people in Hakumei to Mikochi, you might like Arrietty as well. Our female protagonist is a complex character that has a conflict between her friendship with Shu and the danger other humans might represent if they discover her or her family. 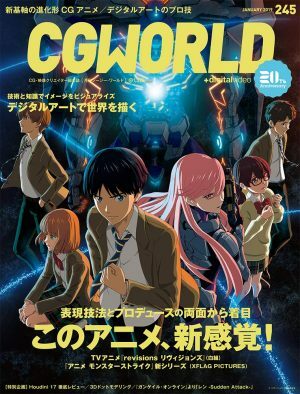 All in all, the natural scenes in both animes are superb, making you want to explore your home garden more. 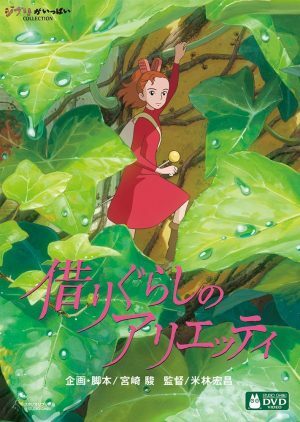 If you like Ghibli and adventures with little people, you definitely have to watch Arrietty. 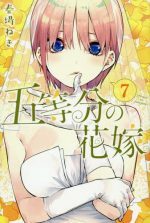 Chise Hatori has been troubled her whole life as she can see things that others can’t. Rejected and hopeless, Chise sells herself on the magic black market, where she is bought by a half human, half fae magician called Elias Ainsworth. Mahoutsukai no Yome follows their daily life adventures as Chise discovers the world of magic. 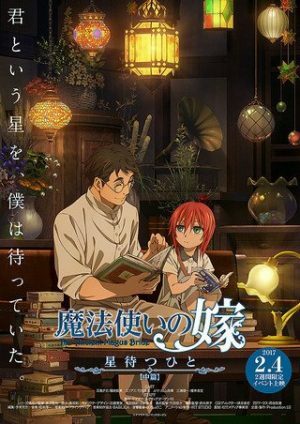 However, this series of OVAs is a prequel about Chise’s childhood days, when she found a mysterious library in the middle of the forest. These OVAs were the first try of the world of Mahoutsukai no Yome for many otakus. They follow a tiny protagonist dealing with daily life and the magical world, just like Hakumei to Mikochi. Compared to the main series, it is closer in tone and innocence to the adventures of our little dwarfs. 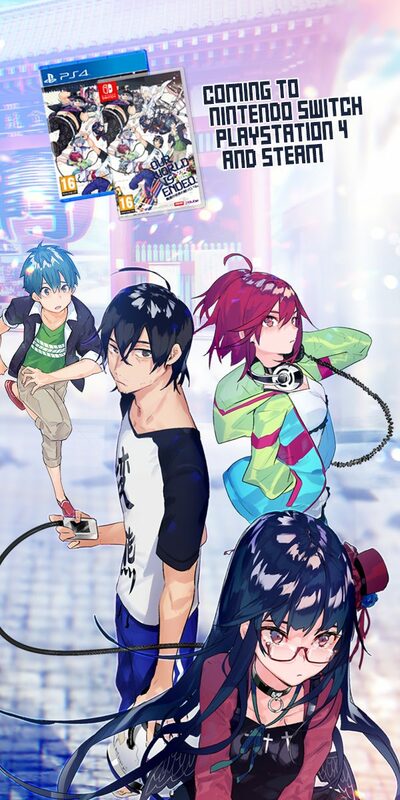 We only have to warn you that Chise is a very troubled girl, but in general, her adventures are visually appealing and will relax you after a long day. Did we also mention that nature looks gorgeous in both animes? At her 15 years, Kino is an expert traveller. She counts on Hermes, her talking motorbike, and her two handguns, Cannon and Woodsman, to protect her. Whenever Kino is troubled, she just goes in a travel, moving ahead. The only rule is that she stays in a country only for three days, absorbing the culture and beliefs of their citizens. 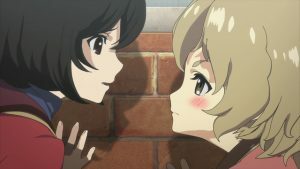 Hakumei to Mikochi and Kino no Tabi show us different views of the world in each episode. All of them are seeking to live a good life, and there is a certain calm in the adventures we are offered in these shows. 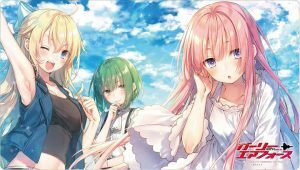 The difference is that Kino is a human travelling to different countries, who has a complex past of her own revealed in the story. 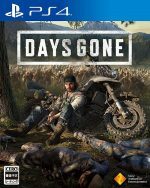 However, both series make a good job in showing us human nature and the environment that surrounds us. 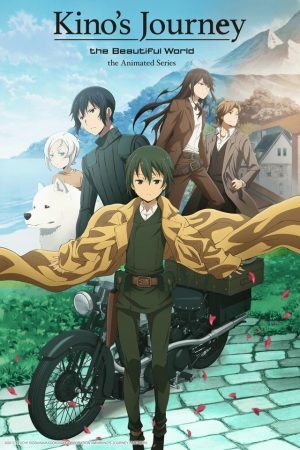 If you have a thing for travelling, you have to check Kino no Tabi. Whether you feel tiny or not, Hakumei to Mikochi and other similar animes show us that it is ok to be curious and explore the world around you. 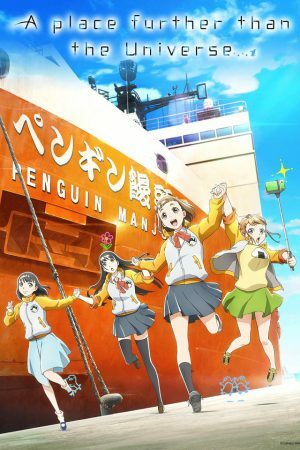 Sometimes life can be too complicated or heavy on us, but that is why such relaxing anime exist. They also remind us that there are some places where calmness is appreciated, and that we can make wonderful discoveries even in the smallest of things… and that we can enjoy our time along with our friends. It is just a matter of keeping our eyes open and our spirits willing! Which other anime like Hakumei to Mikochi do you like? Don’t forget that we are open to all your comments and suggestions. See you soon! Fantasy Anime Hakumei to Mikochi Confirms To Have 12 Episodes Full of Cuteness!